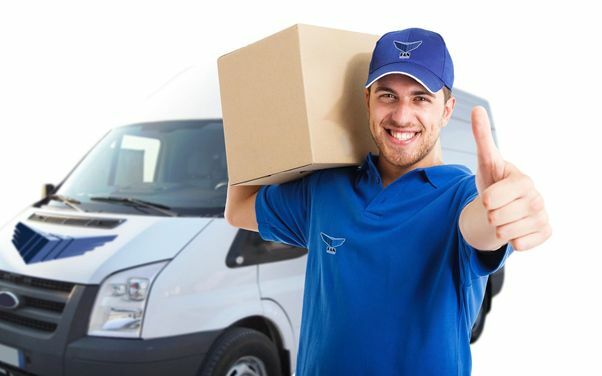 The delivery of a package is influenced by a series of factors, out of which the most important are: the selected service type, weather conditions and time of the year. Red Code: on average, the package will get to the destination at 10 AM the day following the pick up. At the moment this service is not available, due to our large number of daily deliveries and the unpredictable weather in the winter. Express Loco: The delivery is done in the same day as the pick up, with an average delivery time of 2-6 hours, in Bucharest. Besides our door-to-door services, you can choose to send or pick up packages from one of the FAN Courier workstations or from our partner locations, based on your preferences. This is available through our Collect Point service, which at the moment is only available for the Pay Point Colet Expres Network and in the OMV and Petrom network. Please note that the maximum time for individual orders (without a contract) placed by phone is 16.00. For legal entities with a contract, the maximum time to place an order by phone is 19.00 for Bucharest and 16.00 for cities outside of Bucharest. Orders can be made until the last minute, as long as you have your package already prepared, properly wrapped and labeled. Bad weather and difficulties regarding the infrastructure and personnel are some of the main causes for packages being late, especially for long distance deliveries. Information about the difficulties encountered during deliveries is updated on the FAN Courier website and on our official Facebook page. As for the time of the year, it is common that during the holiday season packages can be late due to the a very high number of registered orders. Very important: The change of the delivery address and re-direction of a dispatch towards a new address represents a new delivery. Therefore, the minimum time in which the address is modified and the package is sent to a new destination is 24 hours. The second category of frequently asked questions points out the condition of a package in the moment it reaches its destination. More than often, poorly wrapped packages are the main cause in the occurrence of nonconformities. To avoid the breaking, cracking or scratching of the objects sent via courier, verify our wrapping guidelines. We provide boxes and cardboard envelopes in our agencies all over the country. If you want an extra insurance for your package, you can choose our additional Insurance option. This implies a 1% fee out of the total price of your order, giving you the opportunity to get 100% refund in case of a lost or damaged package. The condition for this refund is respecting the terms of proper wrapping and packaging provided on our website. The products that were ordered online are in the complete accountability of the buyer and the store. The delivery is not FAN’s responsibility and the time of arrival depends on the factors mentioned above. However, confusions may occur: for example, the product delivered is not in compliance with what you ordered. Please note that FAN Courier is just an intermediate between the store and the client, and the contents of the package are sealed at all times. In case of discrepancies between the product ordered and the product delivered, the client needs to contact the store. The return and payment policies are specific to every store, and FAN Courier can not interfere. To avoid problems regarding unsatisfactory products, we offer the Check-On-Delivery service. This allows the opening and the visual evaluation of the package, without testing the product. The courier will wait for you to check the package, and it is not adequate, he or she can return it to the sender. In case you can’t track your order in the FAN system using the AWB number, it means that the package hasn’t been picked up from the sender and scanned yet. When the order will be picked up, it will automatically show up in the system. Payments for online orders can be made online, on the store’s website or paid in cash at delivery. In case you decide to pay cash, the order can not exceed 5000 ron. To speed up the calculation, we introduced the cost estimation service, which allows you to determine the final price of your order based on weight, volume and destination. Here are 10 easy steps to keep in mind when sending or receiving a package: 5 essential steps for when you are sending a package and 5 best practices for when you are ordering online and waiting for the package to arrive. You can read more about frequently asked questions and their answers regarding delivery on the FAQ section on the FAN Courier website.